What’s Poppin’ Tonight! 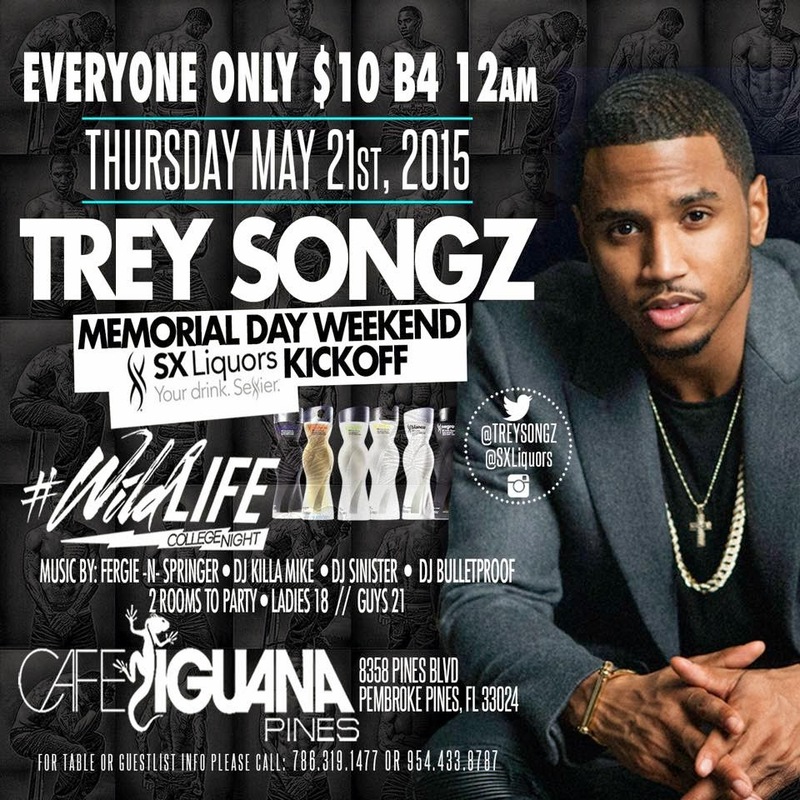 #WildLife College Night #MemorialDayWeekend Kick-Off presents Trey Songz at Café Iguana Pines ~ Phresh Hott New! Tonight! Wild Life College Night Memorial Day Weekend Kick-Off presents Trey Songz at Café Iguana Pines. For VIP bottle service and more info, please call 954.433.8787. Follow @CafeIguanas on Twitter & Instagram. Visit www.CafeIguanaPines.com for more upcoming events!